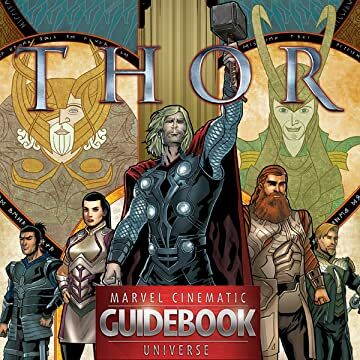 The MCU Guidebooks bring the thunder as the mighty Thor steps into the spotlight! Our comprehensive coverage of the fan-favorite Marvel Studios films and Marvel TV series continues as we reveal everything you need to know about the golden realm of Asgard! Featuring fact sheets, movie-to-comic comparisons, and behind-the-scenes production art and movie stills, this issue is packed with profiles of Thor Odinson himself; family members Loki, Odin and Frigga; Asgardian allies including Sif, Heimdall, Hogun and Volstagg; human friends Erik Selvig, Jane Foster and Darcy Lewis; and an in-depth look at Asgard itself! Plus: Laufey and the Frost Giants, S.H.I.E.L.D. agent Jasper Sitwell...and the Avenging Archer, Hawkeye! And more! 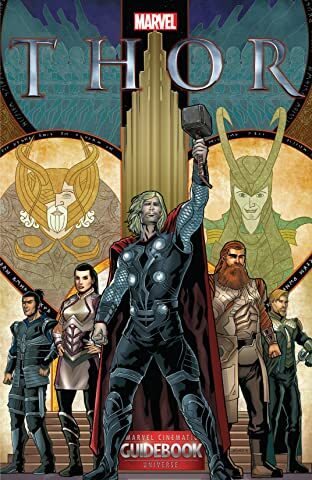 Relive the big-screen thrills of Marvel's Thor right here, and continue building your indispensable library of Cinematic Universe reference books!